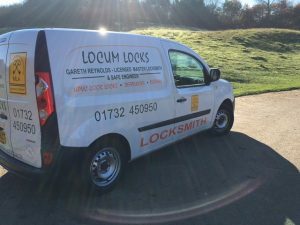 Locum Locks is an independent family run business covering Sevenoaks and the surrounding areas of North & West Kent & East Sussex for over 2 decades. We pride ourselves on providing a friendly and reliable service with a high level of expertise. We are qualified Master Locksmiths with over 25 years experience and are approved company members of the Master Locksmith Association. The MLA licenses its approved companies through strict vetting and regular assessments, in order to ensure quality of service and provide peace of mind to the end customer. Visit the MLA website for further information. We supply locks and security products from most major manufactures and offer free quotes and surveys, we are happy to advise on any problem you may be having. At Locum Locks, all our work is fully guaranteed and we provide Manufacturers Warranties on whatever we supply.